CLICK THE VIDEO BELOW TO LISTEN TO THE VIDEO BLOG NOW! ME/CFS, Fibromyalgia and MCS are such a severe illness that inevitably it affects every part of our life. In the recovery stories, sometimes people talk about the grief they felt and the stages they went through, from denial to acceptance and grief to non-acceptance. What are the losses that effect you most? And what have you done to deal with this sense of loss? Hi Sue – thanks for your comment. 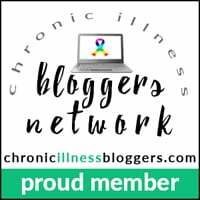 Yes, it’s a tough road when we are chronically ill. Life can be challenging at the best of times, so being ill just makes everything else worse. The financial impacts of having FMS/CFS/ME/MCS are severe. Well done for managing to ask for help where it is available, most of us find that a challenge to do. I hope you haven’t given up on recovery and are enjoying the recovery interviews. I feel the loss.Greatly. But I choose To Live This Life I am Given.. It is so hard for me to let go of the fact that, I Can still live this life that I so passionately live. That means a lot to me when I think about every one that is a part of my life. Thank You for letting me tell a little bit of my story. 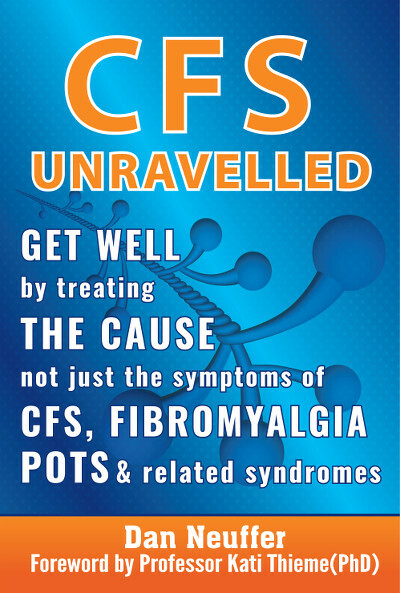 Thanks for sharing Patricia – Fibromyalgia and ME/CFS is often so all encompassingly aweful! But the people who come out the other side feel happier and more connected to life than before they even got sick. I hope you are keeping up hope for a better future. Keep listening to the recovery interviews! Jules, that’s very cool! To go through this and have the attitude to see yourself “feeling lucky” – very positive – well done! Hi Jules, Don’t give up. I loved your message. So pure and true. We truly have to work with what we have to work with. Every one is so unique. But Together and our own life force we have a great purpose to our lives..
I’ve had Chronic Fatigue Immune Dysfunction Syndrome (CFIDS) since 1992 With IBS since 2008, Recent Diagnoses of Fibromyalgia 2 years ago. The unfortunate Decline of physical, cognitive, executive, or emotional functioning through the years has been a progression of what is otherwise known as “invisible” chronic illness, that negatively impacts one’s quality of life…this does not include other co-morbid conditions such as vestibular migraines with aura. I do what can be done when and how it can be done, embracing my limitations, paying close attention to my body and choosing to attempt to stay positive even when ability is limited. Fibromyalgia flares. I hope I can find the key for my recovery. I do think that the flares are connected to an increase in a particular form of depression. I think anyone with chronic illness is at risk for depression but when I get a flare I can physically feel a wave of depression and sometimes extreme sleepiness. When the flare lifts I feel happy even if the pain lingers. I think the flares cause depression because were are not sure what our future holds. We get scared and a little hopeless. But we have to think about all those in our lives that are impacted in our life. Believe me when I say you matter to many people. Some you may not have even met yet.Please don’t ever give up. We all feel the loss greatly. But I Can’t give up. I may have to rest. I may have to cancel. I may have really bad days. But I can’t give up. Wow now the comments r there. Not very computer savvy. love to all. It is very difficult to keep friendships going, because even the nicest people find it difficult to understand and your activities become so limited. But I think it is fantastic how philosphically you review your journey and it shows a great sense of personal growth. Gratitude is a powerful emotion to shape our lives! You have done wonderfully to be there for your kids – but now it’s time to look after yourself and your health as number 1! recovery is possible even after 20 years, although of course it can become a little trickier, especially the psychological aspects of the illness. But I have seen people do it before! But I like I say in CFS Unravelled – it’s all about having an ACTION PLAN! I am glad you have managed to be happy and contented. You are of course entitled to your opinion, which undoubtedly is based on a lot of experience. I do not share your view and do believe that MCS shares the same root mechanism as ME/CFS/Fibro. Have seen people recover from severe MCS using the same techniques, sometimes with some added specific strategies. In some ways, MCS is the purest form of the dysfunction! In any case, thanks for your comment. I hope the site supports you and I applaud your positive outlook. The main thing I’ve lost is my social life and/or some of my friends or aren’t as close with some, I shut out a lot of people and suffered on my own or didn’t want anything to do with anyone. I also had to deal with a lot of difficult people (which is saying it politely) at a job I worked at. I understand how you feel Jared. When we are sick, everything becomes much harder to deal with. Hope you find that the VIDEO EXPLANATION and recovery stories support your return to health. Personally I feel I am very much in grief. I have lost the things in life I depended on for my happiness. I have experienced long term anxiety and depression and used exercise and distraction to keep myself on track. That has all been taken away from me. I know I need to reach a place of acceptance and to be grateful for what I have to progress, but am really struggling to get there. So far I have been lucky with family and friends, but I suspect this won’t be the case longer term. I hope the “WHY ME” question is somewhat answered by the video education series! Any improvement we experience has to be a good thing and move us in the right direction. I encourage you to keep learning more about the root mechanism of the illness so that you can build on your results and go beyond trigger reduction (through avoidance) towards trigger extinguishment. Certainly life changes with ME, regardless of whether we recover or not. If you listen to the recovery stories, you always hear about how people describe how they changed as people from the experience. Remember not just to “grieve” the old self, but also to welcome and celebrate the new self, especially as you move towards recovering your health again. I’ve been fighting Chronic fatigue and fibro for three years now. I tried a gluten free diet but it didn’t help much. A month ago, I went on a Paleo diet- basically no sugar or milk or any grains. I feel like a different person even though I still have high inflammation markers. I’m so full of hope for the first time and my depression is basically gone. In ONE month! Diet can be really important, but it is just one of several key strategies to use at the same time. The loss of the social me I come home from work or other outings and go online and support my friends via Facebook & Twitter and advocate for the amazing things my friends are doing with their local businesses but I know I have to manage the Fibro or it will rule me. ? Indeed we can end up feeling quite isolated when chronically ill. I hope you find ways of taking little steps forward to recover your health and that the explanation videos help you to perhaps take your first steps.